Canada Express Entry Scheme allows the applicants to create a profile and submits an Expression of Interest including details of experience and qualification. This huge database of candidates is accessed by the Canadian Employers who have the requirement. The aspirants with job offers will have option more chances of getting the permanent resident visa. The applicants without job offers have to register with the ESDC, where employers will go through the Canadian Job Bank to pick the talent of their choice. Canadian firms play the direct role in awarding the permanent residence to the applicants. Candidates with valid job offers will receive an invitation for permanent residency quickly. Employers have access to the candidates’ profiles who meet their needs. No Labor Market Impact Assessment fees for permanent residence. Employers work with the Canada provinces to recruit workforce. 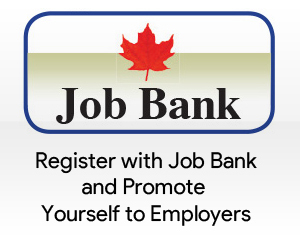 Canada Job Bank is an online portal that helps Employers to connect to the Express Entry Profiles. Express Entry gives multiple opportunities to the Candidates to promote them and gives employers more databases to pick the talent of their preference. corner of Canada through the Provincial Nominee Programs. Almost all the Canada provinces take part in the Canada Express Entry Scheme. Candidates have options to select any province of his choice to settle permanently. The growing economy is creating more jobs for the skilled international workers. Canada CIC programs have managed to reach their goals annually. Immigration has become the developmental goal of Canada. Candidates without job offers have to promote themselves to the Canadian employers, Job portals and private organizations. There are a good number of growth opportunities in Canada as the employers are in dire need of skilled programs. The Atlantic Canada region is receiving very fewer immigrants; efforts from the intellectual community and political class are continuously made to make this region an immigrant-friendly zone. Canada has started an investor’s immigration visa program who can invest in the country to create more jobs for the locals and skilled international workers. Why there is a mad rush for Canada skilled visas? I am from Afghanistan now I am working in Kuwait last ten year. Je suis technicien supérieure en contrôle de qualité d’industrie agroalimentaire.avec deux âne d’expérience. Let me know New Brunswick PNP Joined with Federal Immigration Process to Canada. I’m already a Canadian Citizen . I’m eligible to apply for Express Entry Program? Is it Compulsory for all the Employers who are interested to migrate to canada must use this job bank? Can a man with a designing degree call themselves an architect in Canada? With out Express Entry.